So, I promised that I’d tell you what happened when I finally baked Herman the friendship cake. After 9 days of living with the mixture bubbling away in the kitchen (because you can’t put it in the fridge, otherwise you’ll kill off the yeast) I finally divided it up into quarters, and used one quarter to form the basis of my cake. 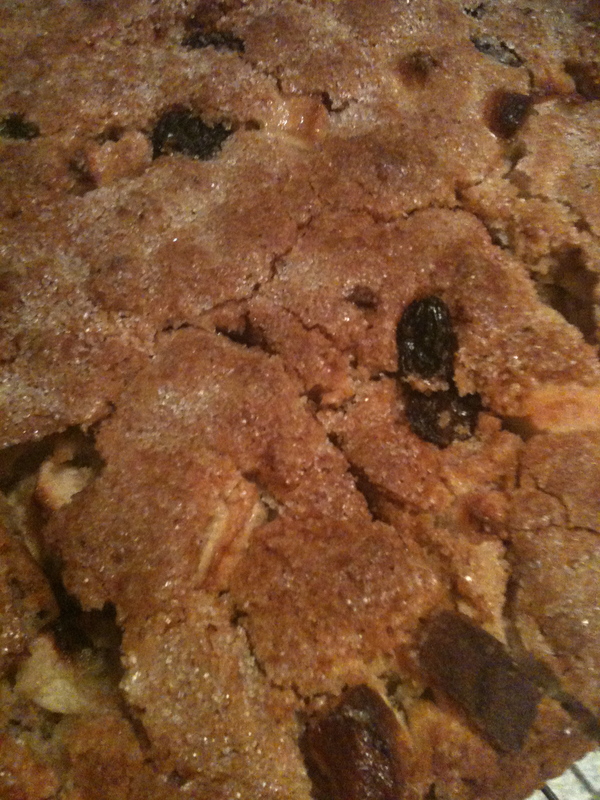 Adding diced apple, sultanas, cinnamon, eggs, oil and a bit more sugar and flour, I ended up with an enormous amount of mixture, which looked like this. 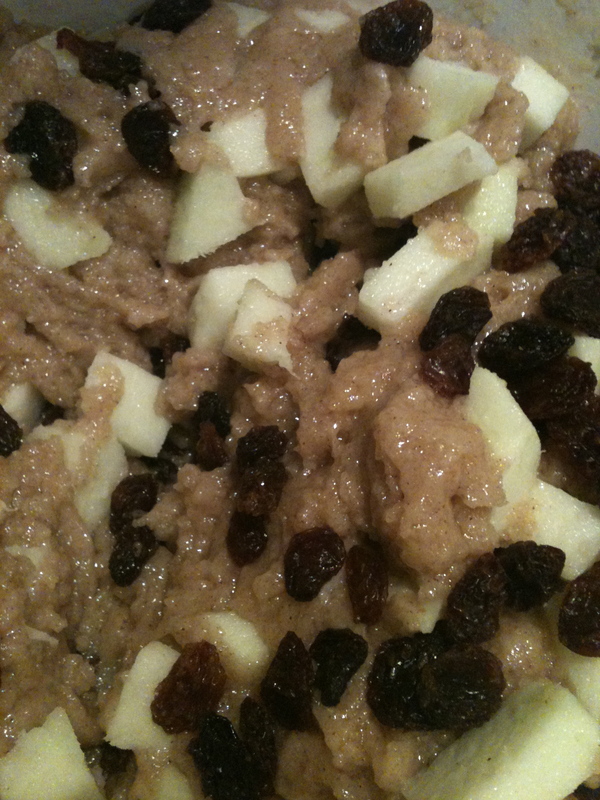 Given that raw cake mixture is one of my favourite foods of all time (even though I’m pretty sure it doesn’t actually count as a food stuff) I did have a little taste – and despite the fact that it had been sitting around for days, and some of it (the bit I was initially given) for a lot longer, it tasted pretty good! So, the next issue was finding a cake tin big enough, which was a bit of a challenge. I ended up using my giant Le Creuset roasting dish, which last held a shepherd’s pie, because none of my cake tins were big enough. After a long while cooking, I ended up with this massive slab of lovely cake. It tastes really good, which is a bit of a relief, given all the effort it took to make it! The stab marks you can see in the cake below are just from me testing it to see if it was cooked. 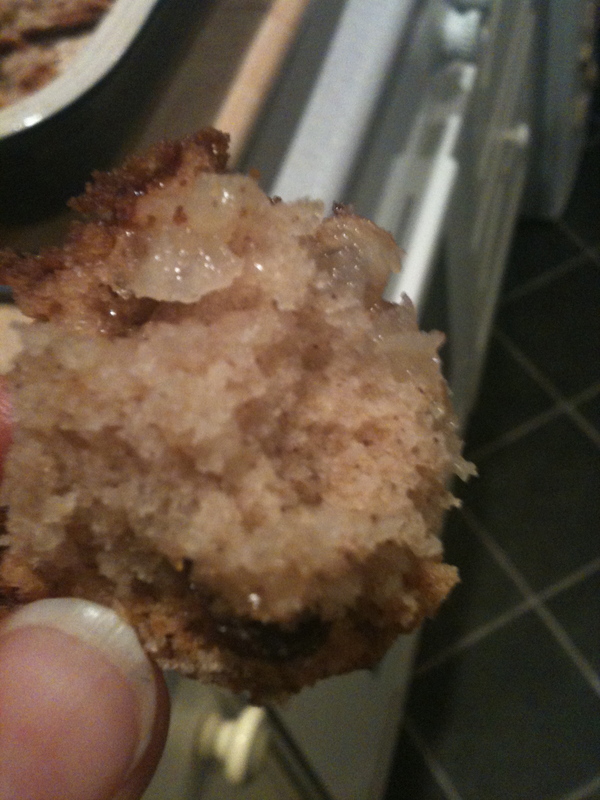 It’s got a great taste, and the little chunks of apple studded through the cake remain nice and juicy in the cooking. The final result - yum! Drat! I completely forgot to ask you for some starter mix! I’ll have to wait until it comes around again… or make some starter myself! It’s pretty easy to make a starter, there are lots of recipes available online and either the starter mix or the finished cake would make a great Yule present!